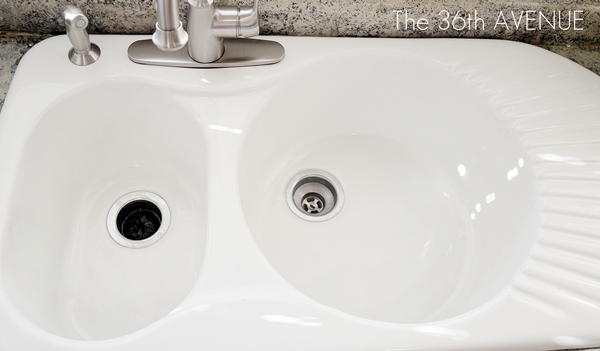 How to clean a Porcelain Sink. 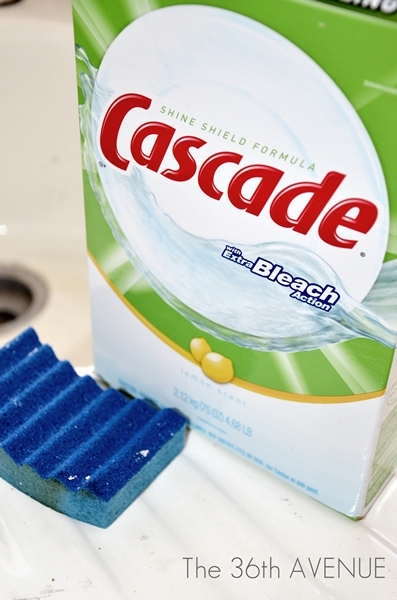 Today I am going to share with you a quick cleaning tip that is going to change your life. 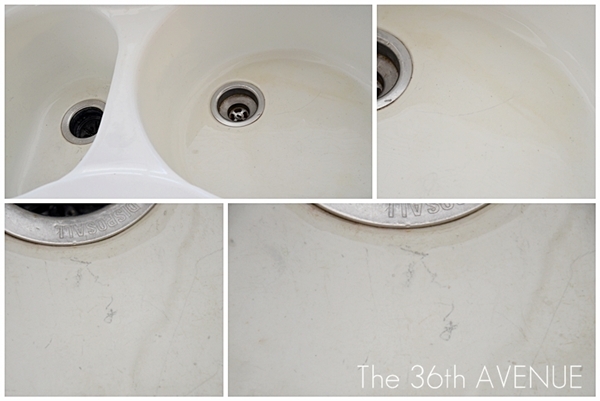 How to Clean a Porcelain Sink is not just easy but super quick! Let me show you! 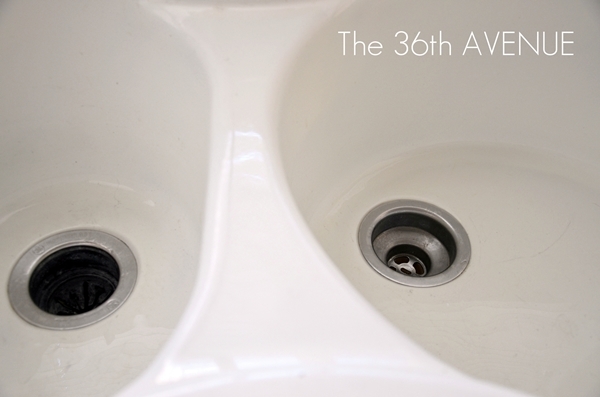 Now, as part of our kitchen makeover we contemplated the idea of replacing our old porcelain sink. we found it stained BADLY. Sick! I tried different ways to clean it and I came up with one that brought it back to pure white again. 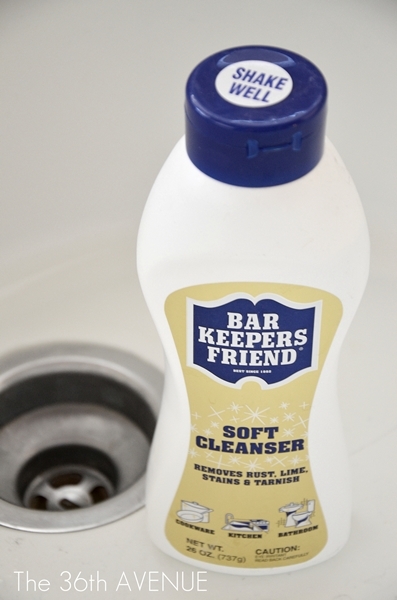 If your sink is not as bad as mine you may be able to clean it using just one product: Bar Keepers Friend. 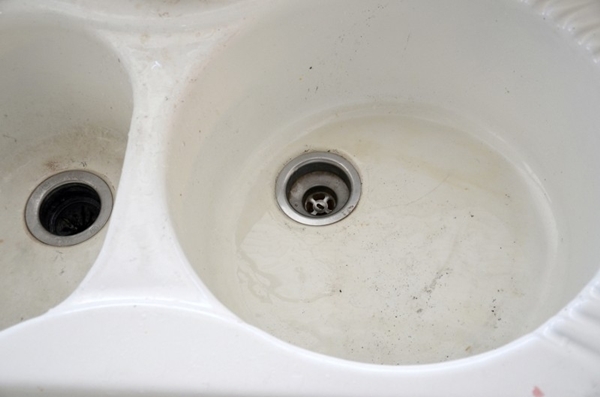 If your sink looks really bad and has very messy stains this additional steps will take care of it! It took me three steps and just a few minutes to complete the process. The first thing you want to do is to wash it with dish soup or dishwasher detergent using a sponge and warm water. When we moved into our house as you could see the sink was in pretty bad shape so dishwasher detergent worked better for me. After you are done, rinse it thoroughly. This is how our sink looked after this step. A lot better… but far from perfect. 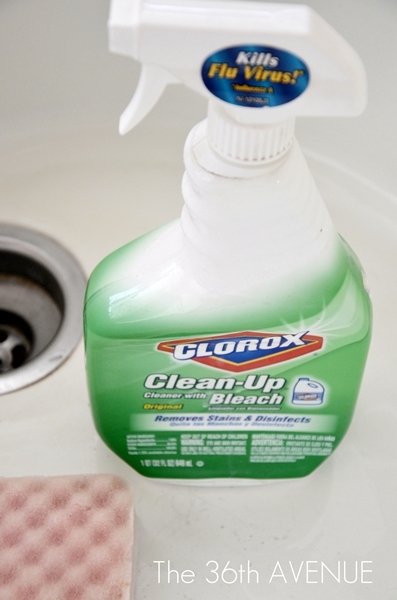 Spray bleach or a bleach product all over the sink. Let the bleach sit for a few minutes while you try to wash off the little bit of bleach that went on your shirt. Gently give a general scrub all over and rinse thoroughly again. After this step the yellowish color was gone but the black stains were still there. Apply a small amount of Bar Keepers Friend directly on the areas where you see stains. I don’t know what this product has but you’ll see the stains disappear before your eyes. 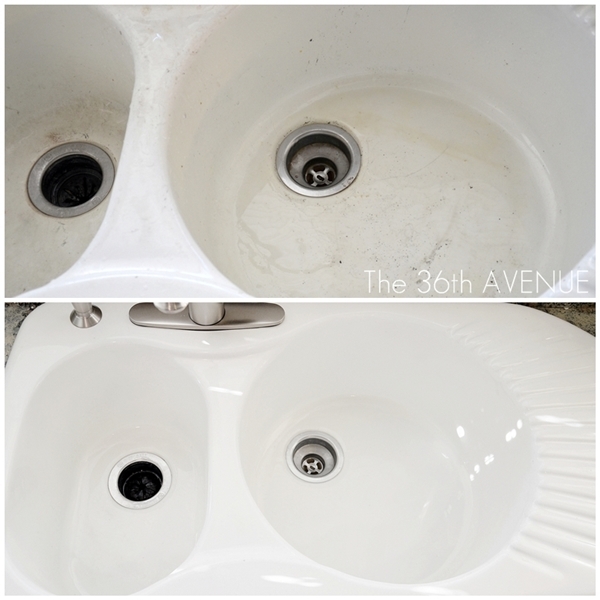 There you have it… a perfectly clean porcelain sink! Here are some other cleaning tips that we love! …and HERE for theses Kitchen Organization Gadgets! PreviousSt Patrick’s Day Free Printable! Exactly what I needed! Mine is so gross, gotta go try now! Where do you purchase The Bar Keepers Friend? Gasp!! I am planning a kitchen remodel, and really wanted a white porcelain sink. However, I have seen them in other people’s houses and was afraid to do it (we have 11 kids and the kitchen is in pretty much constant use). But I use Bar Keeper’s Friend on my stainless sink, and I never thought about using it on porcelain! I am going to take the plunge and get the porcelain sink I want!!! Thanks for giving me the confidence! 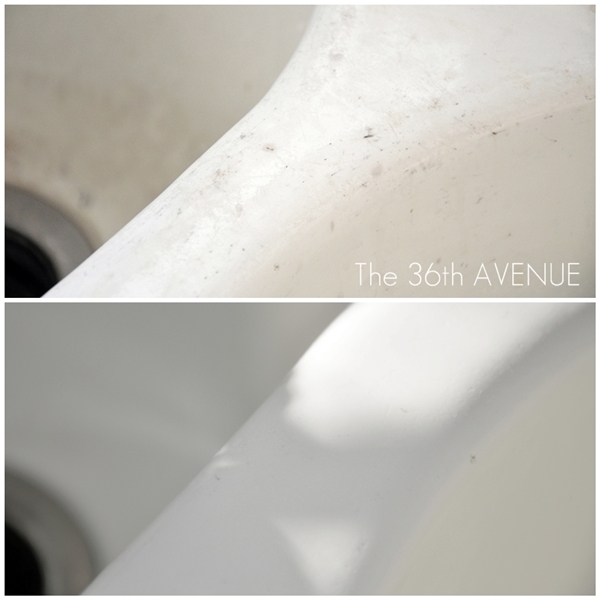 I love porcelain sinks… They are messy but surely pretty!